At work, I keep writing 09 every time I have to write the date.. yeah, how is October already almost over!? Lately, I think time is flying by so quickly because there are so many fun things going on. While I'm incredibly anxious to be married and start my life as a wife, I'm trying to really enjoy this time of my life. After all, we'll never be in this chapter again! - I finally made something that didn't burn or turn out horribly. 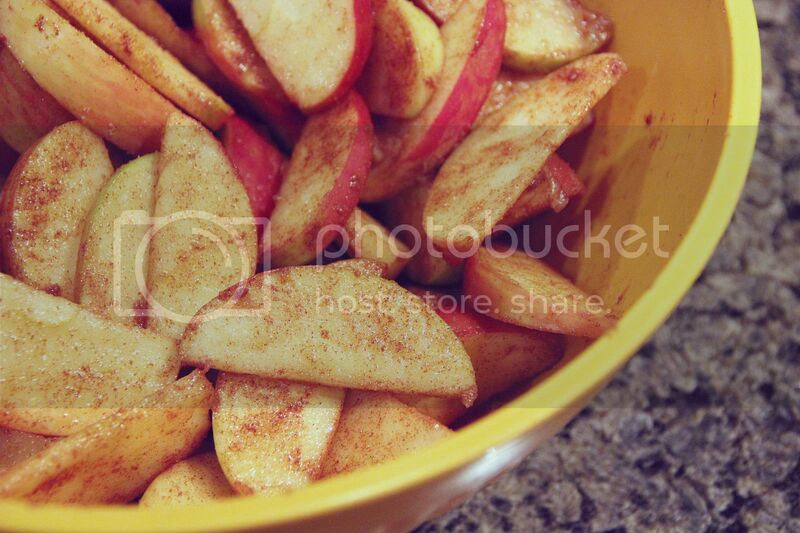 I baked an Apple Cake. - Christmas came a little early around here. 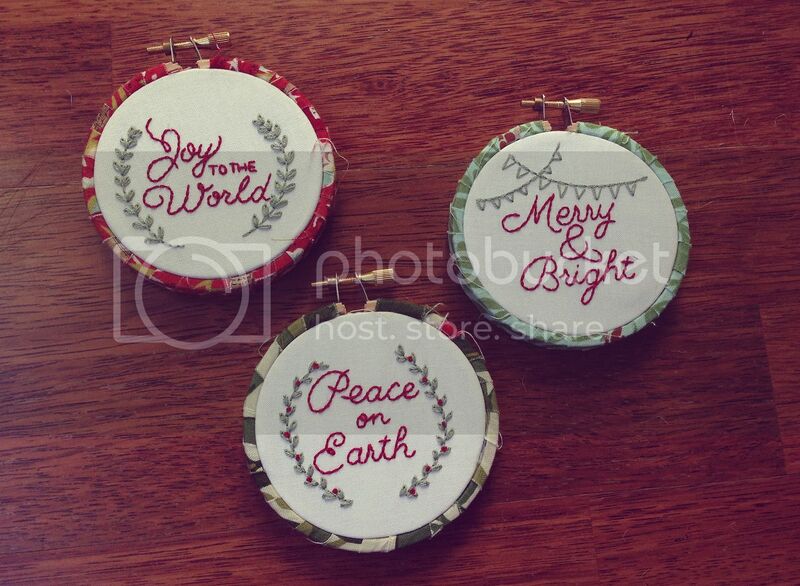 I now have special embroidery hoop ornaments available in my shop! 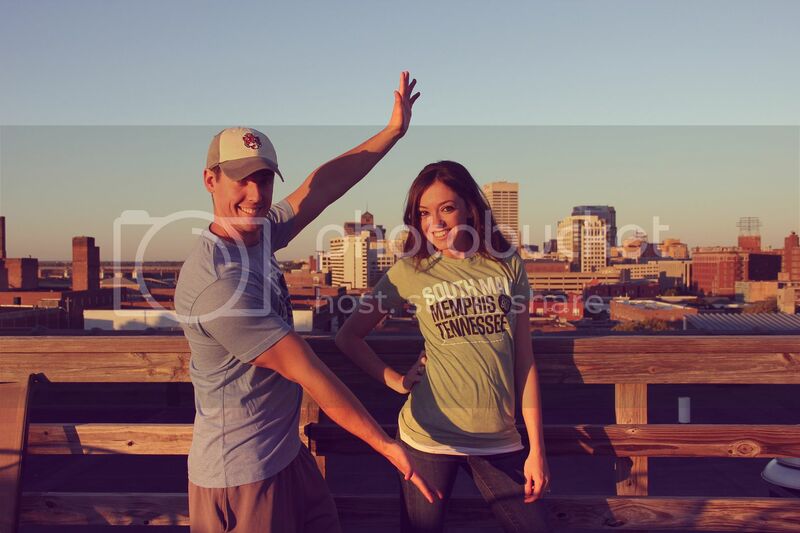 - We wore matching shirts to represent our favorite part of Memphis. Bloggers, what was your favorite post from your blog this month?? Leave a link in the comments, I'd love to read them!! I have to say that I loved sharing my bridesmaid nightmares with the blog in October! Oh, and Adam's super sweet birthday post to me of course! Ha! I subscribed to your blog after Paul linked to it a while back. ...and I'm pretty sure that picture that is on my rooftop... Therefore you probably live in my building. I love the Choose 901 shirts. Really wanted the Midtown one. I ended up getting the Choose 901 shirt for the mister. October was my welcome back to the blogworld month (after like breaking since Feb). So my favorite post was probably my reintroduction. Alyssa, I just stumbled on your blog and it's adorable! You and your fiance are so cute. I know this is a little late, but my favorite post from October is this one making fun of a ridiculous dating magazine I found on my university campus. It was so fun to write!